The line-up for the The Coachella Valley Music and Arts Festival is certainly all everyone is talking about. The festival, set to take place from 12-21 April this year, has Solange as one of its main performers. We are absolutely looking forward to seeing her on stage. While the festival is a highlight event around the world with artists like Janelle Monáe, Childish Gambino, H.E.R, Ariana Grande and many others performing, Solange’s show is one we are most looking forward to seeing. With her hair presentations, her outfits and her unique stage designs, we already know Solange is going to take our breath away. She is known for her artistic creativity, not only with her style, but also her exceptional performances. So let's take a look back at some of her iconic performances and momentous shows. Hold on to your seats. Solange’s studio album A Seat at the Table came with amazing visuals, not only for the album cover, but for the music videos and performances that followed. Her performance on Saturday Night Live was breath taking - the allure and aesthetic of her performance looks, hair and set was nothing short of exceptional. 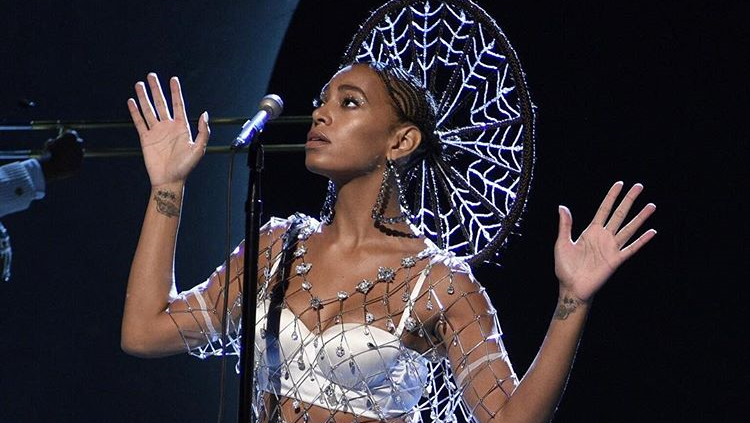 Artist Shani Crowe created the trend-setting head piece, which was made from braided hair and thousands of Swarovski crystal beads in three sizes, according to The Fader. Solange was a vision in her outfit as well. W Magazine reports that the custom crystal embellished dress was designed by Erickson Beamon in collaboration with Swarovski. Another highlight show was Cosmic Journey, she performed this at the Hollywood Bowl and it was a visual experience. 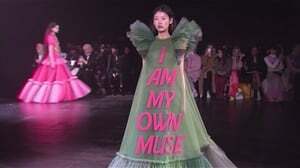 With pride, Solange posted that she directed, composed, and choreographed this show and was involved in the costume and set design. We already know Solange will transport the viewers of Coachella to something never experienced before if her upcoming shows are anything close to the artistry she’s already shown us. Throwback almost a year ago when Solange joined her sister during the famous Beychella performance, she stunned in this iridescent getup. Having reviewed these iconic performances, we’re certain that she will not disappoint come April. Which performances are you looking forward to at Coachella? Let us know here.